We ship our High Quality Custom Hoodies Canada wide right to your door! We Customize your Hoody with care in our Canadian installation by HD Color Photo Printing to create your own personalized Sweatshirt. 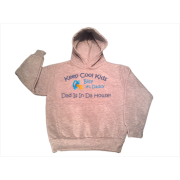 Design your own Hooded Sweatshirt from your Personal Souvenir Pictures, a Custom Photo Gift everyone will love, available online at Timeless Memory.